Auto Repair in Mint Hill – Should I Trade in My Car? Have you ever owned a car that seemed to spend more time in the garage getting fixed than in your garage at home? As you sit in the waiting room of the auto shop you find yourself asking “Is it time for a new car? I’m here it seems quite a bit.” The answer to that question, like many other things in the auto industry, isn’t as black-and-white as it may seem. Consider A New Car’s Future Repairs. Buying a new car isn’t like buying a TV. You can’t just save up for it, buy it, and be done spending – even with a new car, you’ll have to visit the shop. Though maintaining a new car is inherently cheaper than maintaining an old one, oil changes, factory-required tune ups at specific mileage, and the like still have to be done. Bottom line – if you can afford a car payment, but can’t afford the car’s maintanence that goes with it, you can’t afford a new car. Consider the Time Value of a New Car. Let’s say you spend only $1,800 a year keeping your old car running. Averaging just $150 a month is great for a car 15-20 years old, but what if it is your only mode of transportation and you can’t make the time to go to the shop? It may be time to get a new car. Though you’ll likely be paying more monthly due to a car payment, you’ll be in the shop far less – probably just once every 3-5 months for those oil changes and factory-reqired jobs we talked about earlier. That may be worth more to you than the money you’re saving repairing the old car, depending on your job or health. Auto Repair in Mint Hill – Is My Car Ready for a Summer Road Trip? Tires are important all the time, but especially so on a road trip. After all, they are the one thing separating you from the road. Check tread wear and make sure the tire has not worn unevenly, and check tread depth to make sure it is above 2/32″. If a tire is not “ready” it should be replaced before a road trip, especially if its a long one. 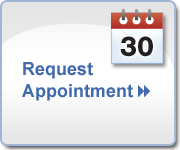 Don’t forget, you may need to have your A/C fixed, if you’re already in for a fluid checkover, that’s the best time to do so! Gas is expensive, and it adds up quick on a road trip. Don’t take the biggest vehicle you own if you don’t have to. Bigger vehicles and bigger engines consume more fuel and have worse MPG’s. A First-Aid Kit is a great thing to have in a car at any time, but especially so during a road trip. A summer-ready kit should contain the basics such as band aids, gause and snacks, but should also have sunscreen, a portable battery pack to charge phones (some of these packs double as jumper boxes for your car, that’s always a plus) as well as a warning sign (they are triangular and orange) and some over-the-counter style scrape cleaner. Have Some Repair Money Ready. It’s unfortunate, but things break. Sometimes they break away from home. Though hopefully this never happens to you, have some money set asside for incase you have to make emergency repairs. PROTIP: Most independent shops have a nationwide warrenty program. Go to these shops. 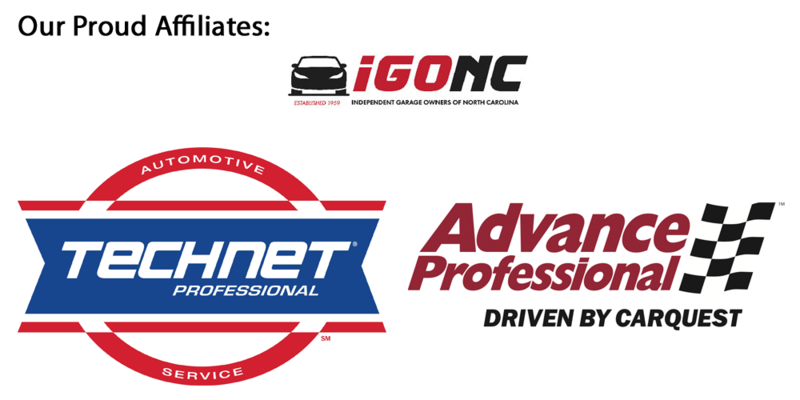 For example, if you have your vehicle serviced at a shop with a TechNet warrenty program in Texas, and that part needs to be warranteed out back here in NC, any shop that uses that program can do the job here at home, and vice-versa. Some cars break more than others. For example, an Ol’ Reliable 2000 Chevy Tahoe with 240,000 miles is something to be proud of, and is a great daily driver, but it’s 18 years old and is more likley to break down on the road. If the miles are high on your vehicle, it is probably best to rent something else for the trip. Auto Repair in Mint Hill – Conventional Oil or Synthetic Oil? Every time you head in for an oil change, one question you’ll usually hear is “Do you want conventional or synthetic oil?” Though this seems like a simple decision, this actually brings up more questions like “What kind should I use in my car?” or “Is the difference really worth the extra money?” Below we’ve listed some of the main differences between the oils and some useful information to help determine what kind is right for you. Conventional Oil is the “traditional” motor oil. Conventional is derived from crude oil and has additives that help with heat tolerance and viscosity. When purchasing a “regular” oil change, this is the oil usually being used. It usually comes in a black bottle, but depending on brand this may not be the case. Oil changes for conventional are usually recommended at 3,000 miles or 3 months, whichever comes first. Synthetic Oil is derived from crude oil and has additives just like Conventional, however this version of the oil is “synthesized” – in other words, the oil is modified at the molecular level. It is also distilled. It usually comes in a silver bottle, but depending on brand this may not be the case. Synthetic Oil Changes are usually recommended at 5,000 miles or 5 months, whichever comes first. There is no “wrong time” to use Synthetic over Conventional, because it is fact that Synthetic lasts longer and holds up better. However, this doesn’t mean Conventional is bad. Conventional is fine for cars that are daily drivers that have a “regular” commute (15 minutes or longer.) Synthetic is better for cars that drive in extreme temps (a New York winter or an Arizona Summer, for example) or make short trips commonly (conventional may not heat up enough in short trips.) Synthetic is also useful in dusty climates. Synthetic is sometimes recommended in the owner’s manual, in which case that oil should be used. Synthetic can also be useful in high milage cars, but is not necessary unless the manual requires it. In short, conventional is fine for the average daily driver, but synthetic will usually be the better option. Auto Repair in Mint Hill – How Do I Keep Children Safe Around A Car? The importance of keeping kids safe when around or in a car is a story we’ve all heard a thousand times. It may have even been covered in your driver’s education class. However, do you know exactly how to keep kids safe? Listed below are some tips and tricks on how. Check Seat Belts – And Not Just For If They’re On. The importance of wearing a seat belt is pretty well known, however, kids can suffer injuries in a wreck if their seatbelt wraps around their head. This can happen from a child being mischievous and wrapping it themselves, but can also happen by the child being strapped in wrong in the first place. Backovers are where a person is driven over by a car. This can happen with children because of how small they are and are hard to see (or sometimes impossible to see) in mirrors. According to the Motorist Assurance Program, 15,000 injuries are caused by backover crashes yearly. “Back-Up Cameras,” the cameras which are designed to display the rear view of a car when in reverse, usually cannot prevent these kinds of accidents because even they cannot see directly behind the rear wheels and bumper. The general rule of thumb is this – before driving off, walk around the car and check for anything or anyone. This is probably the most obvious of all the tips listed, but leaving children in the car still happens. Leaving a child in a car can cause heatstroke, which can be deadly. Heatstroke is still possible even on lukewarm spring days because as the sun beats down on the car, the temperature still rises just as it does in the summer. It is important to know cracking the windows is usually not enough to keep the car cool enough. Remember, no matter how short the trip, do not leave kids in the car – nothing is more important than their lives. This also applies to pets. Keep Children in Car Seats As Recommended. A large factor in injuries of children in cars is improper car seats, or lack thereof. The age and weight of a child usually determines what kind of seats they need. Local laws also sometimes dictate this, so be sure to check for any. Warm weather is a sign of great times, cook outs, and road trips. For those if us who own pets, it just wouldn’t be summer if we didn’t bring them along for the ride! However, keeping our fuzzy friends safe should always be a priority. Below are some tips, tricks and other useful info. Some pets like to stick their heads out the window when driving. That’s fun for the pet, but this can hurt your pet’s eyesight over time. Buying you pet goggles (sometimes called Doggles) are a great way to protect their eyes and let them have their fun. Some pets are big enough for seatbelts. In events of a wreck, seatbelts can save a pet’s life just like a person. Modifications and adapters to make seatbelts work for your pet can be found online for as little as about $7. 3. Leaving Pets in Cars isn’t OK! Leaving a pet in a vehicle that isn’t running with A/C (or heat in cold months) isn’t not only unsafe, but illegal. So, in other words, if the pet is in dangerous temperatures or doesn’t have enough air, it is legal for officers of the law to enter the vehicle to save the pet. Don’t let this be your pet! The next time you bring your pet into the vehicle, just remember these tips, and you and your fuzzy friend will have a great (and safe) time! Auto Repair in Mint Hill – Is My Car Ready for Spring? Finally, spring has sprung! The weather is warmer and our winter coats are back in the closet. Just like how we change our activities and wardrobes, our cars need some TLC for the warmer months too. Here are some basic tips and tricks on how to “springtomize” your car. In the winter months, you may have swapped out your washer fluid for a “winter wash” style of fluid. While that fluid is great for breaking down ice on your windshield, the formula isn’t intended for the warmer months. Consider switching to a regular washer fluid or a hot-weather-specific blend. Your wipers put in overtime in cold months, helping remove ice and similar winter debris. Always check your wipers for tears or cuts and, if needed, replace. A sun shade isn’t so much a requirement as it is an accessory, but it’s useful nonetheless. Sun shades are big, tin foil looking covers that go under your windshield when you’re not driving. This is especially useful on cars painted dark colors, because it helps prevent your car from being ridiculously hot when parked outside. Have your A/C system checked. Your A/C system has been sitting dormant now for a few months. Your coolant may be low/dirty and other systems used to cool your car may be running a little weak. It’s best to have your car serviced now in the spring so that when the hottest of the summer months roll around, you’re A/C is at peak performance. Depending on how severe the weather was during the winter, your tires may have worn a bit quicker than expected. Check to make sure there aren’t any holes/leaks/bumps or uneven wear. Similar to the sun shade, window tint works to keep some of the sunlight out of your car. This not only makes the windows darker but also helps it keep cool (and in some cases, provide UV protection.) Just remember that in North Carolina, 35% tint is the lowest you legally can go. There is no bad reason to wash your car’s underbody, but in areas like Mint Hill where salt was spread to prevent snow and black ice buildup, it is incredibly important. Salt left on the underbody of a car can cause the frame to rust, which is an extreme safety hazard, and lowers the overall value of your vehicle. Now that the warmer months are here to stay, be sure to consider the tips above, and most importantly, have a safe and happy spring! Auto Repair in Mint Hill – Is My Car Safe for a Rainy Day? Tire Tread Depth is important on any day, but it plays an even more important role when the roads are wet. The gaps between your tire and the road that your tire tread creates is what prevents you from losing control and hydroplaning. This is why most states consider tires that are below 2/32″ in tread depth illegal. This one may seem a bit obvious, but Windshield Wipers are one of those things that you really don’t think about unless you try and use them. Wipers usually should be replaced every six months, but that can vary by quality and usage. If you’d like to read more about Windshield Wipers, we have an article about them here. In North Carolina, it is law to turn on your Headlights when your Windshield Wipers are in use. This law is in place not so much so you can see in the rain, but so others can see you. If you have headlight/taillight/daytime runner out, you may be harder to see and possibly more likely to be hit. If you’d like to read more about Headlights, we have an article about them here. When driving in the rain, you should allow for more following distance (this is the distance between you and the car in front of you) and slow down. This allows you more time to stop should something in front of you happen. A lot of your vehicles automation devices – cruise control for example – may not work as well during the rain. No matter if it is rainy, sunny, sleeting or snowing, be sure to enjoy the ride and stay safe! Auto Repair in Mint Hill – What do the Lights on my Dashboard Mean? If you’ve ever owned a motor vehicle, you’ve most likely been driving around and had a light come on, only to find yourself saying “What does that mean?” This is an understandable feeling. After all, even the most common light, the check engine light, looks different from vehicle to vehicle. Due to this, we’ve made a list of common lights and what they mean so the next time a light comes on in your car, you’ll be informed and ready. Officially known as the Malfunction Indicator Lamp (MIL) the Check Engine Light is a light that tells you something is wrong inside your engine. It can have multiple forms, but the most common are shown above. In vehicles with OBD II built in (this is all vehicles made during or after 1996) Check Engine Lights also put out a code (you’ll need a code-reader for this) that give a broad diagnostic of the issue. Vehicles equipped with OBD I (these are in most vehicles made during the 70’s to 1995) blink a certain way to tell you what code you have. The Maintenance Required Light, which was created by Toyota, is commonly confused as a Check Engine Light. All this light actually does, though, is tell you its time for an oil change. It isn’t always accurate, however, so don’t rely on just it for when to know its time for an oil change. Commonplace on vehicles made in the 2010’s, the Tire Pressure Monitoring System (TPMS) Light is a light that is synced with the TPMS monitors inside your wheels. This light comes on to tell you one of two things; either “your tires are low on air” or “your TPMS monitors are broken.” The light usually goes away once you air your tires back up, however, if your monitors are broken or replaced, some reprogramming of the TPMS monitors may need to be done to make the light go off. The Oil Light (sometimes called the Oil Pressure Light or Oil Temperature Light) is an oil-can shaped light designed to tell you that there is something wrong with your oil. 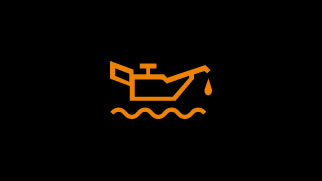 It can mean that your oil’s pressure is too low, your oil levels themselves are low, or the oil temp is too high. Oil is the lifeblood of the car, and this light should be taken seriously if it comes on. This light sometimes has a squiggly line under it (pictured above) or a temperature gauge with squiggly lines by the oil can. The Anti-lock Braking System (ABS) Light is designed to tell you if there is a problem with your anti-lock braking system(ABS). The ABS system is why we no longer need to “pump the brakes” to prevent our wheels from locking up and skidding. ABS was created in the 1980’s and is equipped on most vehicles made during or after the 90’s. ABS became legally required on all new vehicles in the United States in 2013. While the light usually means there is a problem with your ABS system, the sensors on these can go bad causing the light to come on when there actually isn’t a problem with the system at all. Either way, the ABS system is important and it is highly recommended that when this light comes on, you visit your local auto shop. Auto Repair in Mint Hill – What Should I Do if My Vehicle is Recalled? Having your vehicle recalled is a scary thing to have happen. After all, if a vehicle is recalled for a defect, the issue is most likely important. Recalls happen all the time for various reasons. Though recalls themselves are common, what to do when the vehicle is recalled is not commonly discussed. If you vehicle is recalled, you’ll likely get a letter. 2. You are usually required to bring the vehicle to the dealership from where it was originally sold. Sadly, your local independent auto shop cannot do recall repairs, usually due to licensing or legal reasons. The good news is, however, a recall is free if the recall was issued by the manufacturer. For example, if a Toyota is recalled, the repair is usually done at the Toyota dealership who sold it new, regardless of who currently owns it. If you cannot get to that specific dealership, you should attempt to go to your local dealer. 3. If you have the repair done, you should keep the records. It is incredibly important you keep the records of a recall repair. If something should happen to the vehicle or if you try and resell it, proof that the job has been done is great to have. If your vehicle ever gets recalled, you can rest easy, you now know everything there is to know about recalls. Auto Repair in Mint Hill – Should I Replace My Headlights? Headlights are a crucial part of any car. After all, without them, driving after sunset would be more of a dangerous stunt than a common activity. Headlights, like any other part, wear over time. Replacing headlights, however, are not as cut and dry as “change your headlights at X miles,” but “when can you not see anymore?” To expand on the topic, we spoke with Manchester Auto and Tie of Mint Hill’s co-owner and co-founder Ken Manchester. We then asked Ken if there is a law about headlight visibility.